My long term blogging goal is to speak at a blogging conference. 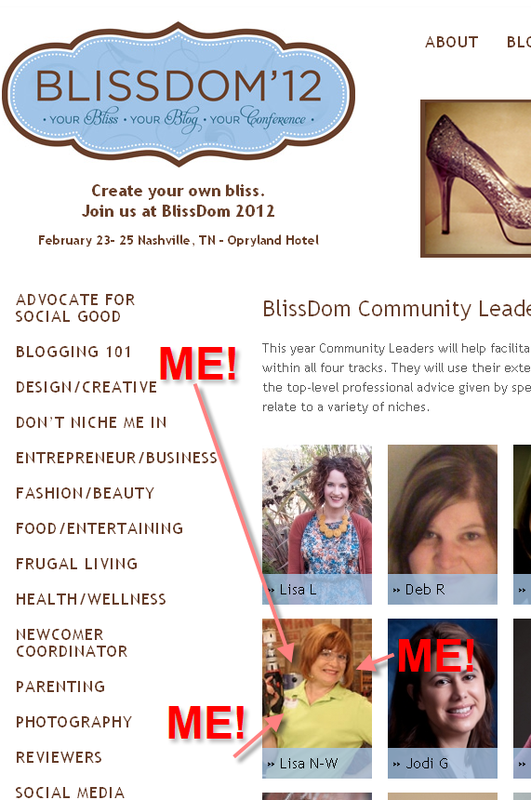 I am one of the Food Community Leaders for Blissdom 2012. I’m living my dream! Blissdom changed their session format this year. We will have one session speaker instead of panel discussions. After the speaker presentation, we will break into groups by niche. The Community Leaders will lead discussions about how to apply the session topic to our particular blog niches because every niche has it’s quirks that don’t always apply to the others. I made a video with some ideas on how to market your blog during a blogging conference. I made this specifically for my Blissdom girls, but it can apply to any conference you attend. This is how I party when Lisa's away. As a Blissdom Community Leader, I will help extend a big Bliss Welcome to all of the newcomers to this year’s conference! 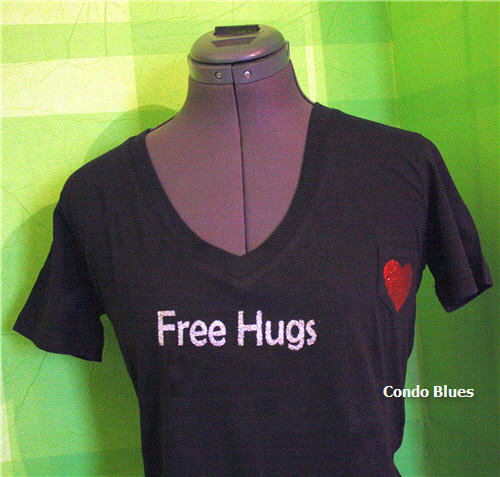 I have a standing offer to give a free hug to anyone who is having that first day of school feeling. Give me a tweet @condoblues and I’ll come running. I even put it on a t shirt – in glitter. Will I see you at Blissdom? I love the idea of "3D" business cards. I attached a small package of ibuprofen to mine with a QR code link that explains why. 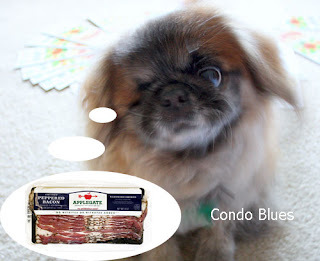 I hope to meet you at Blissdom! I'll look for your shirt!